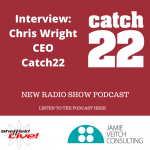 A call for a relationship-based approach to the outsourcing of public services; Catch22’s own pivot from dependency on grants and ‘soft’ contracts to earning the majority of its income from ‘hard’ contracts; and Chris’ leadership journey. 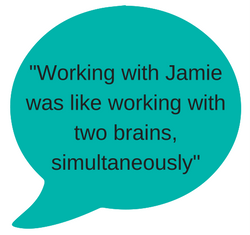 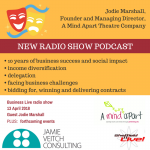 The founder and MD of a business which uses performing arts to “challenge, inspire, encourage and change lives,” discusses lessons learned, challenges faced, and biggest achievements in their 10 years of trading. 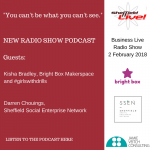 Interviews with Kisha Bradley, engineer, STEAM-inist, founder of Bright Box Makerspace and #girlswithdrills collaborator; and Darren Chouings, voluntary chair of the Sheffield Social Enterprise Network. 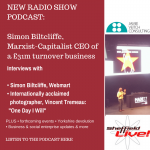 Interview with Simon Biltcliffe, CEO and founder of Webmart and “Marxist-Capitalist” on using business to create and share value. 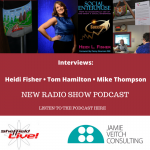 Plus photographer Vincent Tremeau in this latest radio show podcast. 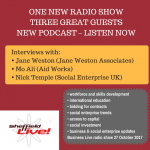 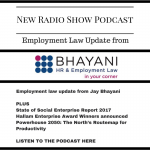 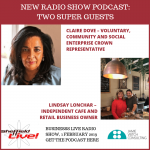 Radio show covering workforce development, international aid, procurement, social enterprise trends, bidding for contacts and more – with guests Jane Weston, Mo Ali (Aid Works) and Nick Temple (SEUK). 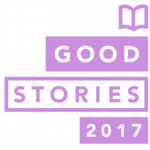 Could this business support more people – by killing fish? 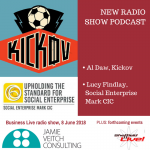 Does commercial success need to come at the expense of social and environmental impact? 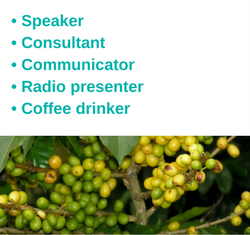 And are some impacts more important than others?